You filed a workers’ compensation claim because you were hurt at work. You expected that your claim would end with a determination of benefits so that your medical expenses would be covered and so that you could recover some of the income you couldn’t earn while you were out of work. Unfortunately, that isn’t what happened. Instead of approving your claim, the workers’ compensation insurer denied your claim. However, it is important that you don’t give up hope. You have the right to appeal the denial of your claim. Important dates. This includes the date of your injury, the date you first missed work because of your injury, and the fifth day that you missed work because of your injury. The name of the workers’ compensation insurer. A description of your injuries. This includes how long your injuries are expected to keep you out of work. Information about your medical care. This includes the name of your doctor and the date you first got treatment. It also includes copies of medical reports and unpaid medical bills. The names and contact information for any witnesses. 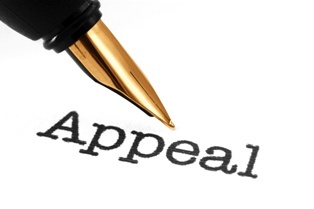 It may seem like you need a lot of information before you file your appeal. However, this is the information that is going to help the Department of Industrial Accidents understand the reason for your appeal and why your denial of benefits should be overturned. Mail. You can submit your appeal to the Department of Industrial Accidents, Dept. 110, 1 Congress St., Suite 100, Boston, MA 02114. In person. You can go to the Department of Industrial Accidents, 1 Congress St., Suite 100 in Boston to file your appeal. Either way, you will need to complete Form 110 – Employee Claim with supporting documentation. If you file by mail then you will need to submit three copies of the form, and if you submit in person you can bring your original signed form. Conciliation. This is an informal meeting that includes you, your lawyer, the workers’ compensation insurer’s lawyer, and someone from the Department of Industrial Accidents. The Department of Industrial Accidents’ conciliator will try to help you and the insurer reach an agreement. If an agreement cannot be reached, then the case will be referred to an administrative law judge. Conference. Like a conciliation, a conference is an informal meeting that includes you, your lawyer, and the workers’ compensation insurer’s lawyer. Instead of a conciliator, however, an administrative law judge will be present to try to help you reach an agreement with the workers’ comp insurer. If the issues are resolved, then the administrative law judge will issue a temporary order. If you disagree with the order then you have 14 days to appeal. Hearing. Unlike a conciliation or conference, a hearing is a formal proceeding that follows many of the same rules as a trial. Evidence will be submitted and arguments will be made. The administrative law judge will then issue a decision. If you disagree with the decision then you have 30 days to appeal to the Reviewing Board. Reviewing Board. The Reviewing Board consists of three administrative law judges who examine the transcripts from the hearing. The Reviewing Board only has the authority to overturn the hearing decision if it finds that the decision was beyond the scope of the administrative law judge’s authority, if the decision was arbitrary or capricious, or if the decision was contrary to law. If your case is not resolved in one of these four ways, then you may be able to file a further appeal with the Massachusetts Court of Appeals. The Massachusetts Department of Industrial Accidents recommends that you have an attorney representing you at each stage of an appeal. A lawyer can make sure that all of your rights are protected and that you are treated fairly. Whether or not you used an attorney to file an initial claim, we encourage you to contact our workers’ compensation lawyers today for a free consultation about your rights and about how we may be able to help you appeal. Please call us or reach out to us via this website to learn more.